that tiny photographer: How to take a family portrait with four kids six and under. How to take a family portrait with four kids six and under. Here's my recipe for taking a family portrait with four kids six and under. Go to your quaint local ice cream shop. Dress everyone in their favorite graphic tee. Set up the tripod and ask your brother-in-law (thanks Jason) to press the shutter button. 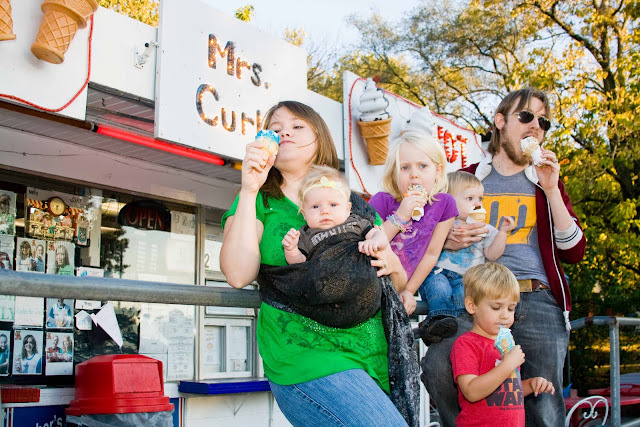 Give everyone (not the six week old) an ice cream cone. Enjoy your cones. Oh my gosh I love your family!! !